Camp Korey GROW Dinner & Auction raises nearly $1 million!! The Harnish Hive dining hall buzz-z-zed with energy and excitement! 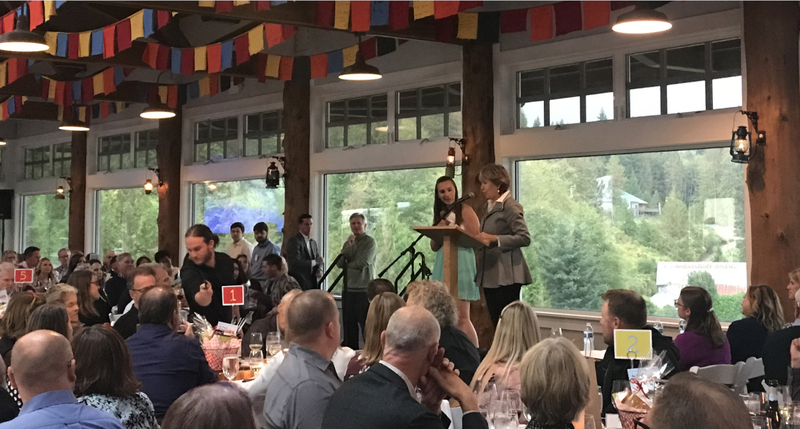 Over 200 guests and VIPs enjoyed a fabulous dinner by Chef Tom Douglas, performances by campers, fun live auction packages, and paddle raising to support Camp Korey. Some amazing campers and families shared their powerful stories and experiences with donors and supporters. The after-dinner “S’more gasbord” included gourmet chocolate and mega-marshmallow s’mores, live music, and dancing. Thank you and warm fuzzies to the sponsors, camper families, donors, staff, and volunteers who made GROW 2018 a tremendous success!